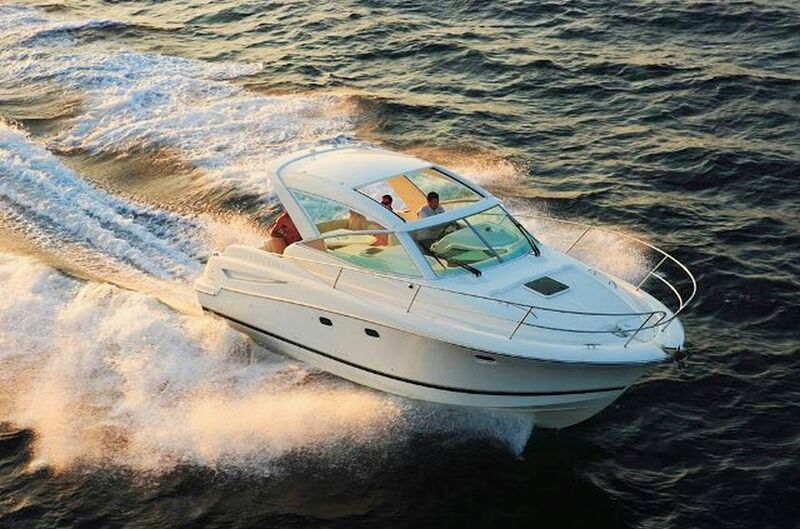 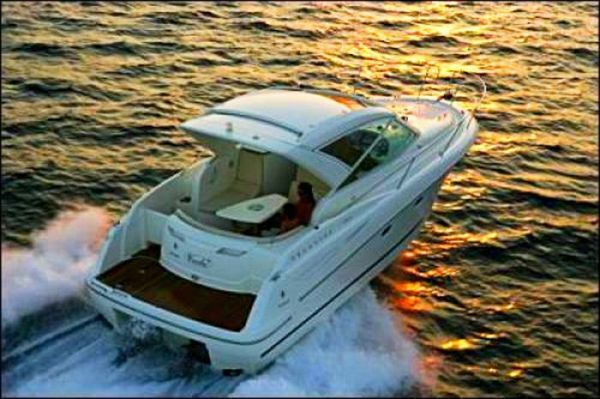 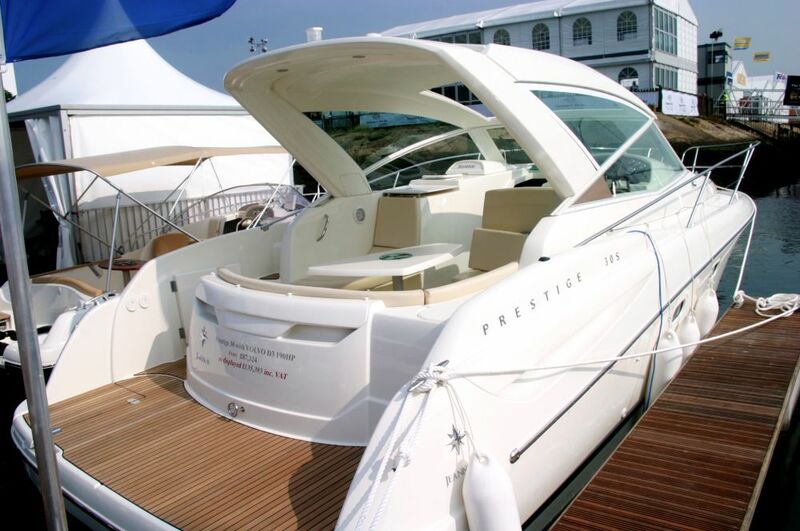 The Jeanneau Prestige 30S is one of the most successful modern Hard Top Sports Cruisers with performance and good accommodation. 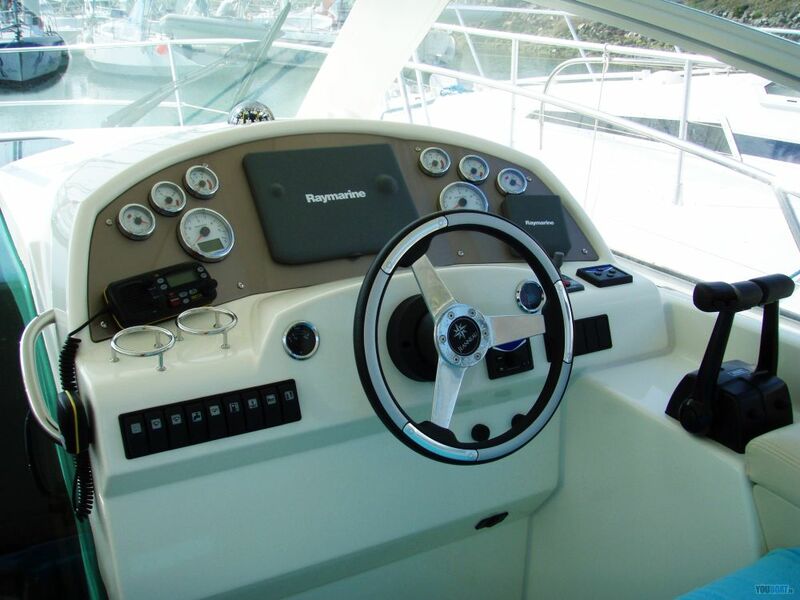 Powered by 2 X 280HP with Volvo Electronic Controls on outdrives with Stainless Steel Duo props. 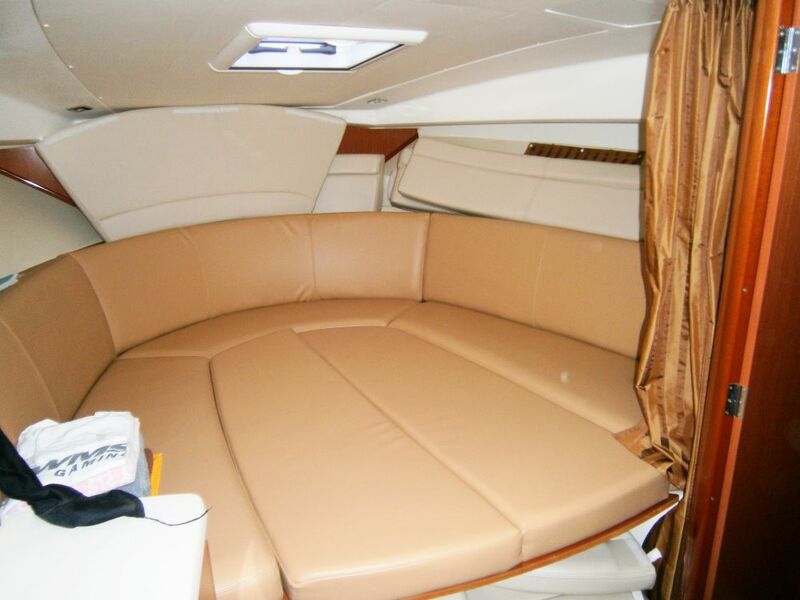 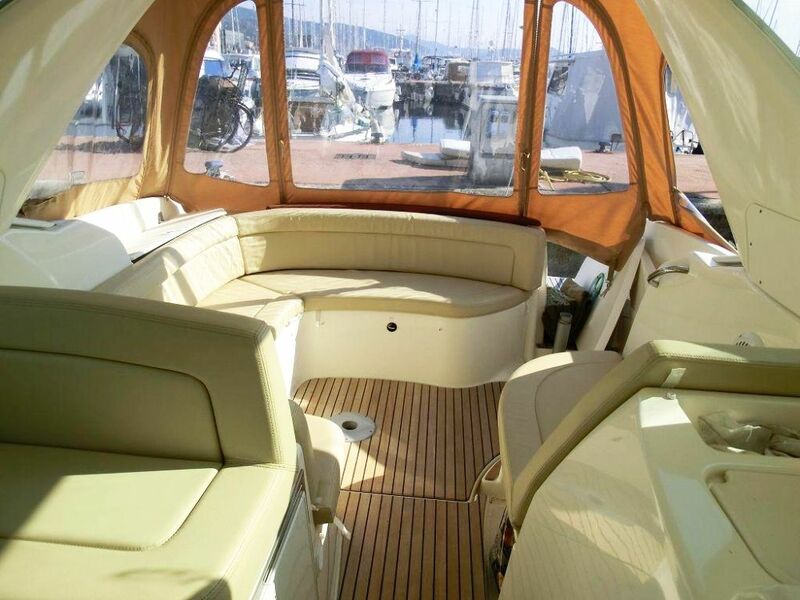 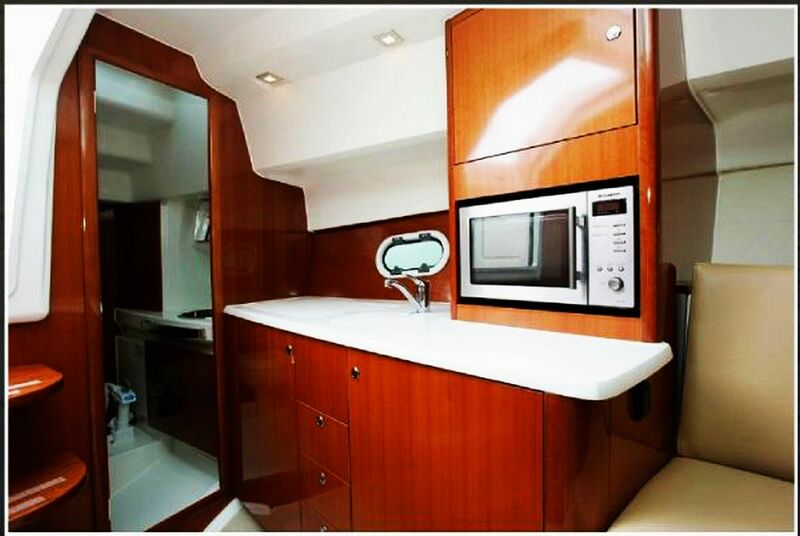 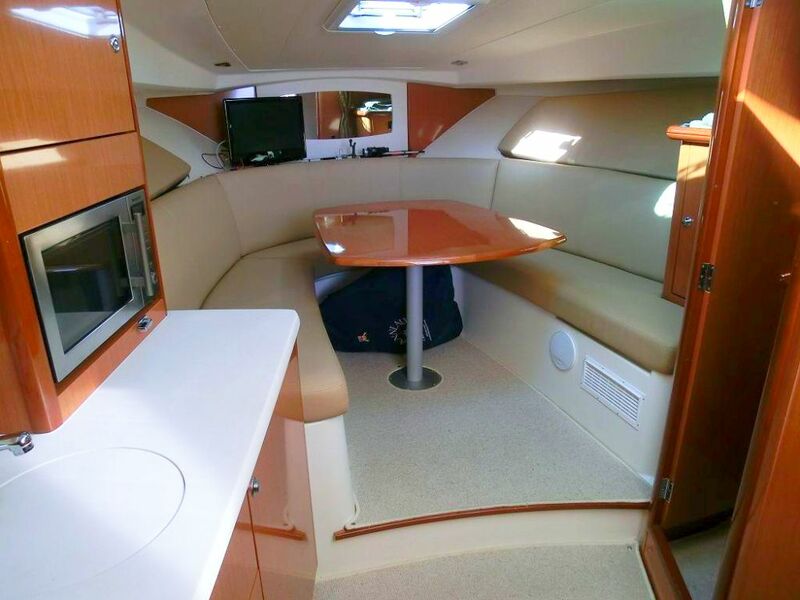 Jeanneau Prestige 30S provides spacious cockpit with sociable seating drinks fridge and hard top version with electric sliding roof, well-appointed saloon, with full galley including microwave. 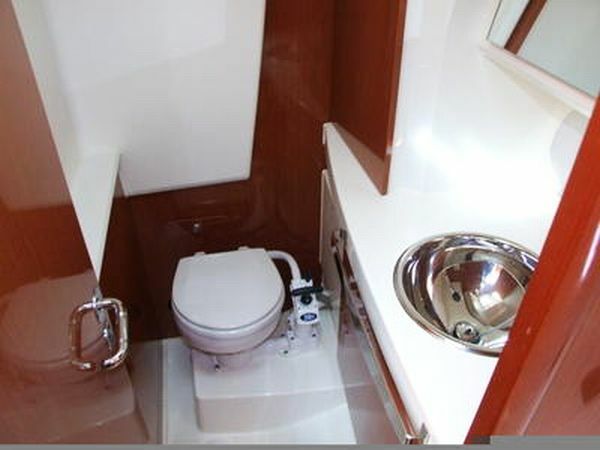 Separate heads compartment with shower and master cabin. 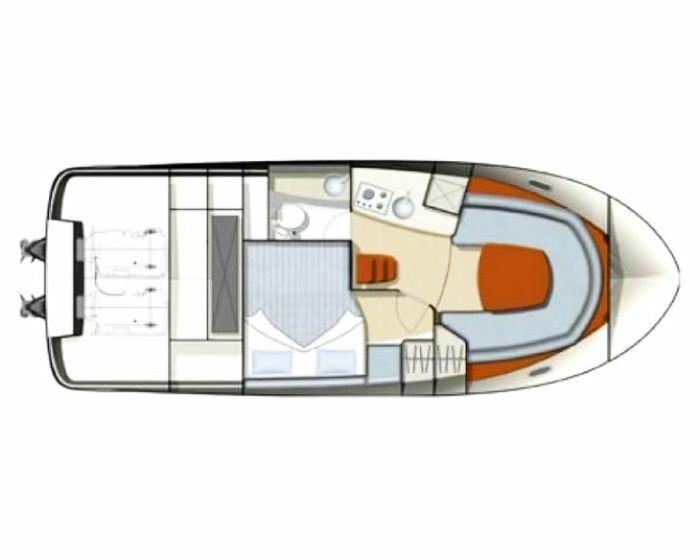 Come and discover what a truly brilliant boat the Prestige 30 is by chartering her on the Greek Islands the top sailing destination in the world!